Whether you are planning on starting a business, applying for funding or expanding your current business, we suggest a well thought out, robust business plan should articulate your business purpose and provide objectives and goals to measure your future business success. 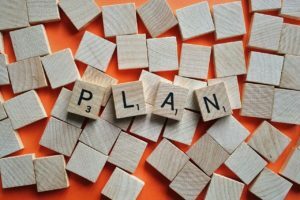 Here, we will share with you the four M’s of successful business planning which are the ingredients you’ll need to create a business plan that not only acts as a written road map to give your business a competitive edge but also, one that will provide you with a blueprint to share with your management team. The ‘Me’ section of your business plan is where you describe what you want from your business. You will detail what your business purpose is, and, how you expect to achieve it. Being honest and clear about your goals for yourself and your business is important. This is because, for example, a business that is designed to grow rapidly with the intention of being sold within a short timescale, is going to have a very different road map to a business that has been created to act as a retirement nest egg. Having your business’ ultimate destination mapped out, will help you to proactively plan for whatever you have defined as success. You will use this to assist you and your team in spotting the right opportunities for your business. Once you have defined your business purpose and intentions, you can then begin to outline where your business needs to be so it can take advantage of the right opportunities, as soon as they arise. If your business is in the early stages, this section would be used to define your target market. Helping you to identify who will be purchasing your goods and services, so you can begin to position your business so it becomes visible and attractive to these customers. For more established businesses, this section could be used to discuss the introduction of new services or products which will increase revenue or market share. It could be your intention to explore new markets outside of the UK, so locating similar customers in these locations would also be detailed in this section. Once you have the knowledge to combine your business goals with your marketing targets, you can begin to explore whether you have the business structure in place to support these plans. Without a stable business structure in place, your business could implode if it grows too fast. Use this opportunity to review your systems and current team to see if they can support your business plans. This may highlight any training gaps and identify shortfalls in team numbers, so you can plan to make sure your expansion and predicted growth will be fully supported. A business can only run out of money once, so it is vital that you have the funds in place to support your business on its journey. This is the section of your business plan where you can start to put monetary values on the goals that you set in the previous sections. This could be revenue goals but it could also be business valuation goals. Creating forecasts based upon reasonable assumptions will help you to judge how realistic and achievable the actions that you set out within the market section are. Once monetary values are added, you may conclude that the niche you identified within the market section is too small or will generate too slow a growth to support the overall intention of your business. Equally, you could comfortably meet the revenue targets but the cost of the additional team members needed to support this growth would result in you missing your profit targets. You may wish to generate several forecasts which incorporate scenario planning. This will enable you to see the impact of additional team members should the revenue not increase as expected. You can also look at the long-term consequence of finding additional finance, or the impact of trying to grow organically using funds generated from surplus profits. The aim of the forecasts and budgets set out within this section are there to validate the roadmap that you have created for your business. Now you have your road map clearly defined and costed, this is the section where you ensure that you have the organisational structure and team in place to deliver those results. This is likely to be the section of your business plan that you share with your team so it is important that you empower those who have influence over your business journey. The impact on your current team will depend on the changes you have detailed in your business plan. You may wish to evaluate your current team and review their training needs. Any restructuring or amendments to job descriptions may result in additional learning and education being needed to raise them to the level required to support your business journey. You do not need to communicate the overall business intentions that you set out in the opening section to your team, but rather the information that applies directly to them. This could be in the form of sales targets or customer numbers. However, you also need to be clear on how you will monitor these targets and hold your team accountable. Creating a detailed and realistic business plan can be an emotional experience. You need to be open and honest, not only about what you want from your business but also about what has possibly held you back from achieving these goals in the past. We find that lots of our clients have really benefited from having an independent voice in the business planning discussions. This is because to get to the core issues on what’s happening within your business, often tough questions need to be asked. It can be hard to conclude that you are holding your own business back, or that one business partner is currently a weak link. However, these issues need to be resolved before you can push your business forward. If you believe that your business would benefit from having a conclusive business plan in place and you would like to have an independent influence to help you, please get in touch for an informal chat.